Ripple has overtaken Ethereum in November 2018 as the largest altcoin by market cap. The cryptocurrency has for a long time caught the interest of investors with many seeing it as a major contender to disrupt how value is transferred. Ripple’s XRP cryptocurrency provides a low-cost liquidity solution aimed at emerging markets. The centralized competitors of XRP would be companies such as Western Union and TransferWise. Despite its prominence and interest among investors, the number of wallets which support XRP is limited. While most major wallets will support Bitcoin or Ethereum, XRP is not as widely catered for. We delve into the wallets which support XRP and we consider factors such as security and features to present the top quality wallets that can be used with XRP. Hardware wallets represent the highest quality of security when it comes to wallets for everyday users. Hardware wallets store the private key on the device itself and apply a high level of encryption to protect users funds. The three major hardware wallet providers are SatoshiLabs which sells the Trezor device, Ledger which has the Ledger Nano S, and KeepKey. Of these three leading hardware wallets, Ledger Nano S is the only one which supports XRP. 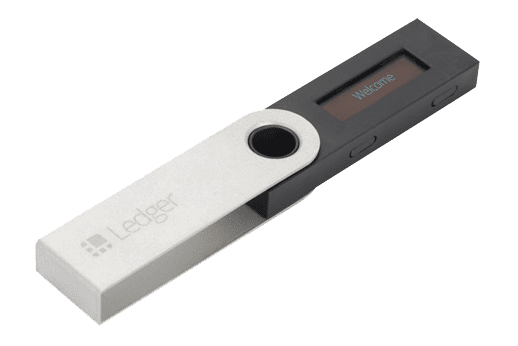 Users of the Ledger Nano S wallet benefit from the best of both cold storage and hot storage. Funds are secured offline and can be hooked up to the computer when users need to monitor their balance or send transactions. Ledger provides a Chrome-based application which enables users to manage their account. The device comes in a sealed package which allows users to ensure that the product has not been tampered with before arrival. There are clear instructions provided for setting up the wallet and users should take careful note of the recovery seed. The recovery seed is a phrase which can be used to recover the funds in case the device gets lost or stolen. The recovery seed should be safely stored as if it is accessed by another person, they will have the ability to access the wallet on another device. Users can also generate a two-factor authentication for their account to apply an extra layer of security. The wallet is hierarchical deterministic which enables users to generate multiple pairs of private and public keys. The code for the wallet is open source ensuring the security has been assessed by a wide community of developers. There are also mobile wallets which enable users to import their Ledger wallet. This will enable users to monitor their account from their mobile and also easily receive transactions from the QR code which can be generated on the mobile wallet. For more info about the Ledger Nano S wallet check out our review & guide. Exodus is a highly popular desktop wallet. It has support for a wide variety of cryptocurrencies including XRP. The wallet can easily be downloaded from the Exodus website and is compatible with Windows, OSX, and Linux. The private key for the wallet is stored on the user’s device. This wallet is also hierarchical deterministic enabling users to generate multiple public and private keys. One of the key benefits for using the Exodus wallet is the interface provided. The interface has a professional design which is easy to use for beginners. Users can view their entire portfolio at one glance and view their holdings and respective values in the different cryptocurrencies they own. It is also easy to navigate to sending and receiving cryptocurrencies. Users can generate a QR code or use the wallet address for receiving XRP. Users can also easily exchange from XRP into other supported cryptocurrencies in the Exodus wallet. Exodus integrates with ShapeShift to facilitate exchanging between different cryptocurrencies. This is useful if users wish to speculate on the price of XRP in relation to other cryptocurrencies. Gatehub is a wallet which supports a number of major cryptocurrencies including XRP. The wallet is a web-based wallet. The private keys for the wallet are stored by Gatehub but are encrypted by the user with their own password. The wallet is open-source enabling it to be assessed by developers to assess its security and functionality. Users can also enable two-factor authentication to the wallet to add an extra layer of security. Gatehub has a number of attractive features as an XRP wallet. It enables users to do all the standard functions provided by wallets such as sending, receiving, and storing. A well-designed interface enables users to view their different asset holdings at one glance along with the value and proportion of each. The wallet also supports holding fiat currencies. One of the key offerings of Gatehub is users get access to a trading platform which enables them trade in the financial markets. With support for fiat currencies, users of the wallet can trade between fiat currency and XRP. Fiat currencies supported include EUR, USD, and CNY. Users can also speculate on the price of XRP in relation to Gold. Toast is a free to use open-source wallet focused solely on XRP. The wallet is available on both desktop and wallet. It is supported for OSX, Windows, Linux, iOS, and Android. The private key for the wallet is stored on the PouchDB, an open-source database, and heavily encrypted. The PouchDB works for applications which are offline as well as online and will store the private key in the browser. Overall, toast is a simple yet secure wallet. This combined with it being available on multiple operating systems makes Toast a top consideration for XRP wallets. The team behind the wallet also operate a Discord channel to help users who need support using the wallet. Guarda is an open-source wallet which is supported on both desktop, mobile, and in the web browser. Guarda is supported on OSX, Windows, Linux, Android, and iOS. Guarda can also be used in the web browser. Guarda is a multi-currency which supports a wide number of cryptocurrencies including XRP. The private key for the wallet is stored on the user’s device and encrypted. The private key deletes itself when the user logs out of the wallet. No client information is stored by Guarda. The wallet is hierarchical deterministic which enables the users to generate multiple pairs of public and private keys. One of the main features of Guarda is the built-in exchange which enables users to swap between different cryptocurrencies in the wallet. This is useful for users who wish to speculate on the price of XRP in relation to other cryptocurrencies. Users can easily exchange between the supported cryptocurrencies. The wallet is also completely anonymous so no details are required from the user to use the wallet or the exchange function. Paper wallets are an option for users who mainly wish to store their funds offline in cold storage. Paper wallets provide both a public and a private key on paper which can be printed. Funds sent to paper wallets are kept completely disconnected from the internet. When users wish to send transactions, they can import the wallet into a service which supports importing paper wallets. Xrppaperwallet.com can be used to generate a paper wallet for XRP. Wallets need to be funded with at least 20 XRP to become active. The key issue with paper wallets is that both the public key and the private key are kept in the same place. If this is revealed to somebody apart from the wallet owner, they would be able to access the funds. For that reason, users need to be sure to safely store the paper or consider storing half of the paper in two separate locations. To send transactions and utilize the XRP paper wallet as a hot wallet, it will need to be imported into a wallet service which supports this function. Toast is one of the wallets which enables users to do this.